This is the start of my documentary photography Series. All the images I’ll share will be candid, spontaneous moments that I’ve captured from weddings, pre-weddings and family sessions (no posing whatsoever). If there’s one aspect of photography I love it’s to show true life, real emotions and fleeting moments that create a lasting memory. Description: I really love this image, I took it during Aman’s bridal prep stage, having her buttons fastened by one of her bridesmaids. 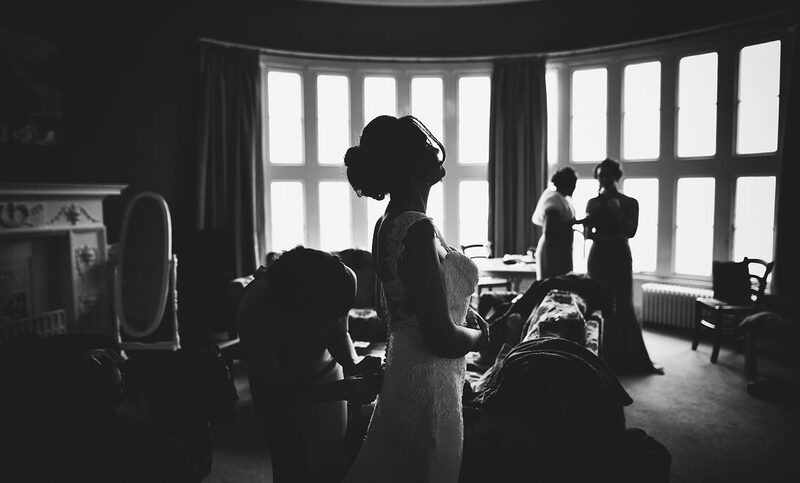 I wanted to go for a back-lit image, using the large bay windows to silhouette everyone, giving the image some drama and mystery. The setting and Aman’s pose has created a lovely elegant photograph.